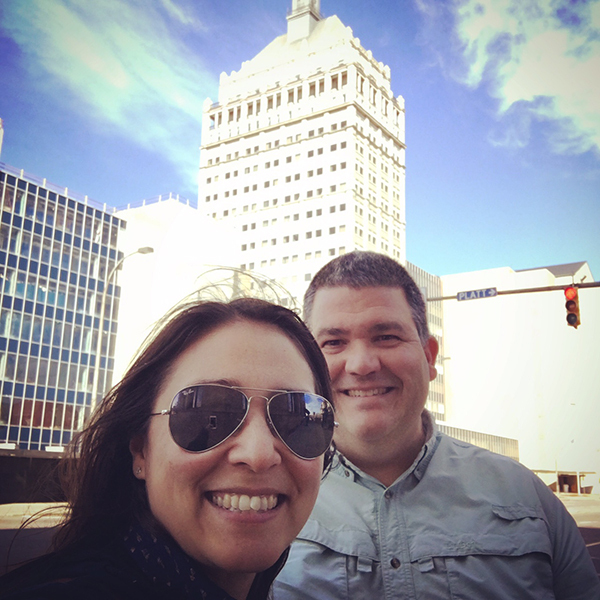 It's hard to believe but after twenty years of living in Rochester, I've never really had a chance to play tour guide to a visitor. I was pretty excited to show my friend C.C. Chapman around while he was in town doing a presentation. Since he is a photographer, of course I had to show him Kodak Tower. Plus High Falls. It's hard to make folks understand that there is a WATER FALL in the middle of our city. 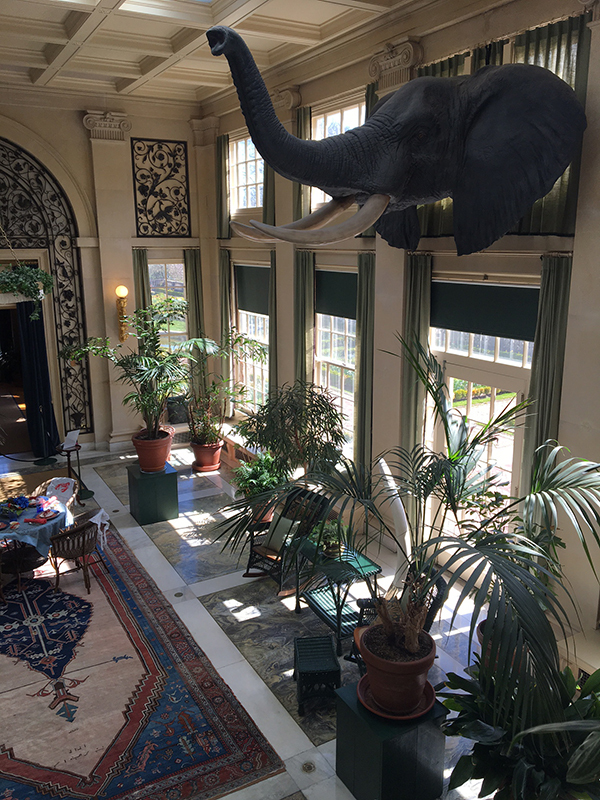 George Eastman Museum is also a must for any photographer. There is the house to explore and the photo exhibits to see. But the really exciting part is the vault. 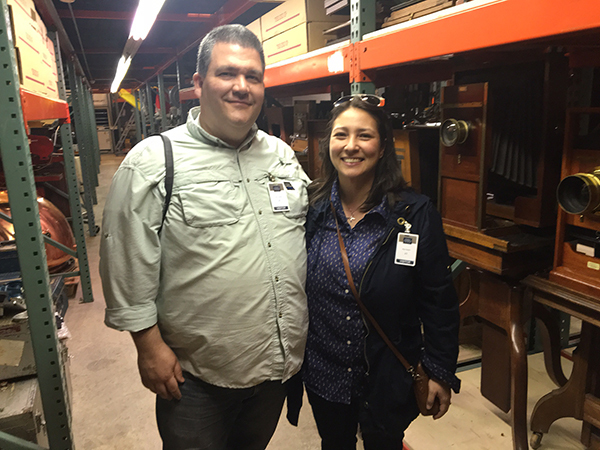 My friend Todd gave us a tour of their extensive camera collection several floors beneath the museum. There are some incredible cameras from history in there. Alfred Stieglitz's camera given to them by Georgia O'Keefe. 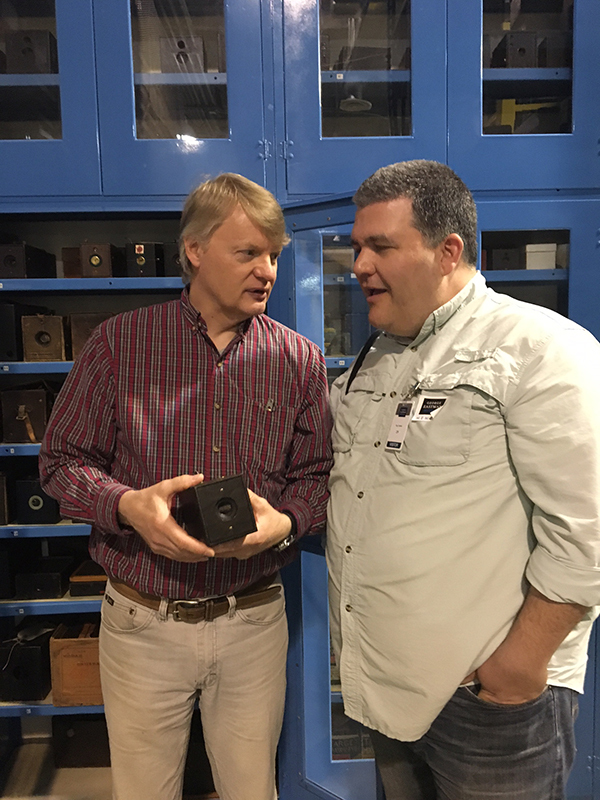 The camera that photographed the famous picture of the flag raising at Iwo Jima. I could go on and on. I got to know C.C. through my job as a social media manager and have stayed in touch over social media. It's a great example of how social media helps you stay connected with people you don't get to see on a regular basis. Checking C.C. 's posts and his blog are a regular part of my day. I appreciate the useful marketing and business advice just as much as I love to see pics of his dog and bbq adventures. It was a real treat to get to spend some time with C.C. and show him around Rochester!